The pricing page is the second most popular page on a site. How you price a product or give a discount in an eCommerce site can make all the difference in a sale. The topic of pricing is a challenging and sometimes confusing hurdle for any company. There are many factors to consider, and one of the most important is the psychology of pricing. Let’s look at some the psychological factors that determine how people make purchasing decisions. How do you sell a $200 laptop? Place it next to a $2000 laptop. Why does this work? It works because of a cognitive bias called price anchoring. Humans have a tendency to rely on the first piece of data they receive when making a decision. The first piece of data sets or “anchors” how the person makes future judgments. After the anchor is set, any new information is judged against that anchor, and the mind creates a bias toward the initial information. This bias is the reason why a $200 laptop seems like a steal compared to the $2000 laptop. You can use this tactic on your pricing page with a few modifications. Let’s say you have three pricing tiers: Basic, Plus, Premium. You offer a set of features for each tier, but the Plus tier is the one you really want to sell. You would set your Basic tier with only a few features and a low price. You would set your Plus tier with a slightly higher price but with a lot more features, and set your Premium tier with unlimited features for a significantly higher price. The customer will be attracted to the Plus tier because it offers the best value for the price. Customers will believe they are getting the best deal. When you place a premium product or service near the standard option, this can make the item’s value more obvious to your potential customers who see the less expensive item as a bargain in comparison. In the example below, the more expensive plan is displayed first to set the anchor. There can be a negative effect if there are a lot of plans, so the basic or free plan is far to the right. Visitors may only see the first two or three plans and leave the site when they see the entry level plans. Always test your pricing page because it is often the second or third most visited page on your site. 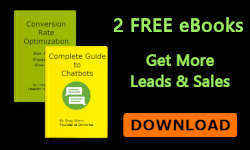 Basically, price anchoring allows you to create a floor and a ceiling on all your prices, and this strategy guides the customer to the product you want them to buy. Is there a different strategy for pricing services? The answer is both yes and no. You have to really know and understand the value of your service from the perspective of your target customer. These customers are value shoppers, and they are looking for a specific outcome. What is the perceived value for your service when compared with the perceived outcome? The idea of value vs outcome is accomplished by setting a price anchor that is based on the cost of the customer doing it him/herself. It’s slightly different than a price anchor for a competitive product. In this case, the price anchor tells the customer that it will cost $X to do it themselves, but when they use your service, the value they receive is X times greater than the cost of DIY. 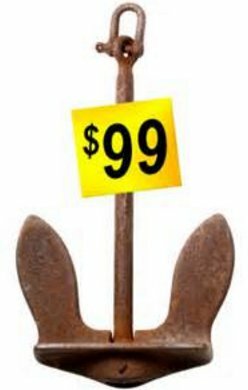 The price anchor is the DIY cost. The perceived value to the customer is a very subjective thing. From your customer’s perspective, the price they are willing to pay for a service may not correlate to how much time you spent providing that service but their time savings. The most significant consideration is what the perceived value of that service and your expertise is to them. The customer needs to know that the value and service quality they receive is something unique that they cannot find from another source or do themselves. Are discounts a good idea or a bad one? The answer is it depends on how you use them. If you offer discounts on a regular basis, you create an expectation with your customers. That expectation lowers your anchor price and makes your customers more price conscious. A price-conscious customer is not as likely to buy because your price will seem high without a discount. It can also degrade the value of your offer. For example, if the price is always 50% off then how good can the product or service be? Or it may appear that you are inflating prices to look like you are giving the customer a deal. If you offer a discount, it’s important that you enlarge the perception of the size of the discount. 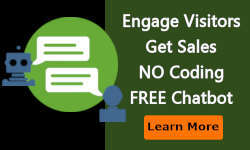 When you do this, it makes the buyer think they are getting a better deal. People see different degrees in pricing, depending on the context. For example, let’s say you are selling a $30 protective case for an iPhone. 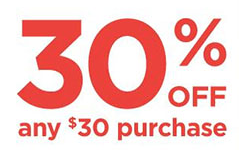 Is it better to offer a 30% discount or $9 off? The end result is the same. However, the buyer sees the number 30 and immediately gives it a higher value than the number 9. How do you decide whether to use a percentage or a fixed dollar amount? Author Jonah Berger in his book titled “Contagious: Why Things Catch On” suggests using the “Rule of 100.” The Rule of 100 recommends that if a product is under $100, use the percentage discount, and if the product is over $100, use an absolute discount which is a fixed dollar amount. How do you know if your pricing is effective? Test it. 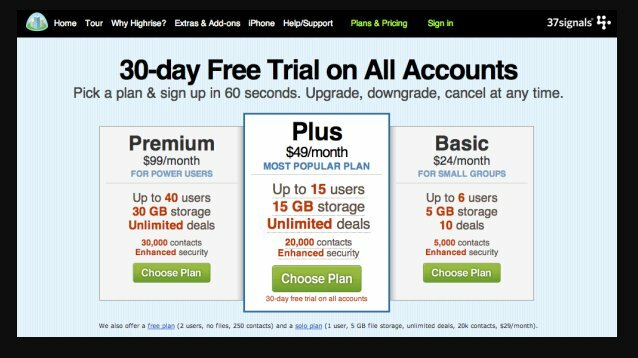 One of the best ways to determine how your pricing is working is to do A/B testing. The most important take-away from A/B testing your pricing page is that offering a different value at a different price will help you understand how sensitive your target customer is to your pricing. If you need help running an A/B test, Ometrics will analyze your website or landing page and recommend ways to increase revenue. 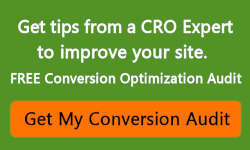 Please visit https://www.ometrics.com/conversion-rate-optimization-consulting.html for more information.